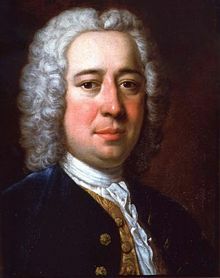 Nicola (Antonio) Porpora (or Niccolò Porpora) was an Italian composer of Baroque operas and teacher of singing, whose most famous singing student was the castrato Farinelli. Other students included composers Matteo Capranica and Joseph Haydn. Porpora’s first opera, Agrippina, was successfully performed at the Neapolitan court in 1708. His second, Berenice, was performed at Rome. In a long career, he followed these up by many further operas, supported as maestro di cappella in the households of aristocratic patrons, such as the commander of military forces at Naples, because composing operas alone did not yet make a viable career. His enduring fame rests chiefly upon his unequalled power of teaching singing, not his compositions. Indeed, towards the end of his career, florid style was becoming old-fashioned, his last opera, Camilla, failed, his pension from Dresden stopped, and he became so poor that the expenses of his funeral were paid by a subscription concert. Yet at the moment of his death, two of his most well-known students, Farinelli and Caffarelli, were living in splendid retirement on fortunes largely based on the excellence of the old maestro’s teaching. A good linguist, who was admired for the idiomatic fluency of his recitatives, and a man of considerable literary culture, Porpora was also celebrated for his conversational wit. He was well-read in Latin and Italian literature, wrote poetry and spoke French, German, and English. Besides some four dozen operas, there are oratorios, solo cantatas with keyboard accompaniment, motets and vocal serenades. Among his larger works, his 1720 opera Orlando, one mass, his Venetian Vespers, and the opera Arianna in Nasso have been recorded.